The exhibition begins with a life-size work from Gormley’s series of ‘Bodycases,’ Bridge (1985), in the front gallery space. This is one of the earliest works made from a plaster mould of the artist’s body, strengthened with fiberglass and encased in a skin of lead. Gormley sees Bridge as an objective mapping of the subjective space of the human body. The visible soldering lines on its surface form clear horizontal and vertical axes: the body is treated as the location of physical and spatial experience. Bridge is presented alongside the wall relief Mother’s Pride IV (1982, remade in 2012), in which an impression of the artist’s body in the foetal position has literally been eaten out of a tightly packed grid of slices of industrially produced ‘Mother’s Pride’ white bread. Also on view alongside these works is Scaffold (2015), a recent work in which Gormley has translated the grid of horizontal and vertical lines of Bridge into a freestanding, three-dimensional mapping of the internal volumes of the body. Together these three works propose that we consider the body less as an object and more as a site and agent of transformation. Concurrent with the exhibition at Sean Kelly, Gormley's latest site-specific permanent public installation,Chord, will be on view at the Massachusetts Institute of Technology in Building 2—which houses the Department of Mathematics and sections of the Department of Chemistry—beginning April 23, 2016. A 40- foot-high spiral column made from a myriad of polyhedra, the work connects the floor of the building’s central staircase to the skylight. In contrast to the fixity of the classical column or Brancusi's Endless Column, which make a solid bridge between above and below, Chord evokes a dynamic relationship between matter and energy in connecting earth to sky. 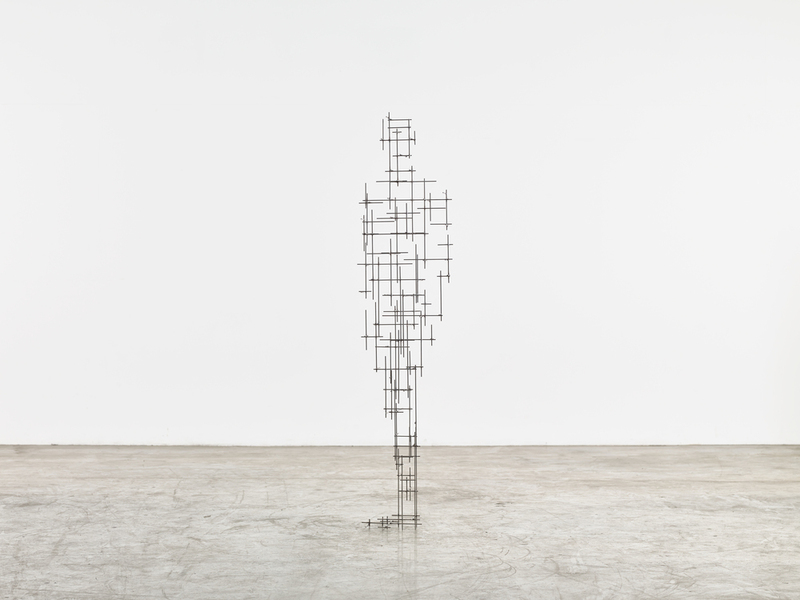 Gormley's work has been exhibited worldwide with exhibitions at Forte di Belvedere, Florence (2015); Zentrum Paul Klee, Bern (2014); Centro Cultural Banco do Brasil, São Paulo, Rio de Janeiro and Brasilia (2012); Deichtorhallen, Hamburg (2012); The State Hermitage Museum, St Petersburg (2011); Kunsthaus Bregenz, Austria (2010); Hayward Gallery, London (2007); Malmö Konsthall, Sweden (1993) and Louisiana Museum of Modern Art, Humlebæk, Denmark (1989). He has also participated in major group shows such as the Venice Biennale (1982 and 1986) and Documenta 8, Kassel, Germany (1987). Permanent public works include the Angel of the North (Gateshead, England), Another Place (Crosby Beach, England), Inside Australia (Lake Ballard, Western Australia), Exposure (Lelystad, The Netherlands) and Chord (MIT – Massachusetts Institute of Technology, Cambridge, MA, USA). Gormley was awarded the Turner Prize in 1994, the South Bank Prize for Visual Art in 1999, the Bernhard Heiliger Award for Sculpture in 2007, the Obayashi Prize in 2012 and the Praemium Imperiale in 2013. In 1997 he was made an Officer of the British Empire (OBE) and was made a knight in the New Year's Honours list in 2014. He is an Honorary Fellow of the Royal Institute of British Architects, an Honorary Doctor of the University of Cambridge and a Fellow of Trinity and Jesus Colleges, Cambridge. Gormley has been a Royal Academician since 2003.